And another season comes to an end on the rivers……… – Welcome to Fenland Fishing! Well another season on the rivers has finished, and what a season it has been! During the summer months, I was not able to get out as much as I hoped for my usual long day sessions, mainly due to work and family commitments. It also didn’t help with the extremely high temperatures we had. Did not fancy sitting by a river in temperatures, in the thirties! When I did go out, the sessions I had were extremely hard. I did manage a few bream and some cracking rudd, but didn’t catch one tench, which is unusual for me, and at the same time worrying. I am not sure why, but there are many possibilities. A couple I could mention, would be illegal fishing, which in some fenland drains, has decimated stocks of tench and other species of fish. The other one could be the population explosions of otters, especially in one of my favourite rivers where I have caught some cracking tench over the years. A lot of my angling friends have also struggled. Don’t think we will ever find out why, but nature always balances itself out, and next season could be fantastic. Struggled with these, this season, but I am hoping this will change in the upcoming 2019 season. However it wasn’t all doom and gloom for me. I have had some memorable sessions during the last season, and smashed two pb’s. One was a Zander of 14ib from the Great Ouse and a 5ib 3oz chub from the River Cam. Both rivers are close to my heart, as I have literally fished both since I was child. My PB chub from the River Cam 5ib 3oz. Absolute stunner and was one of my best sessions on the River Cam for a very long time. I also concentrated on a local drain, and after many years of fishing it, I was finally able to crack it. I managed to bag a stunning double figure pike which weighed 15ib 12oz .The float was literally out for 10 minutes, before it disappeared beneath the depths. Took me a very long time, but finally cracked this little drain. Was a beast! The summer sessions were great fun, but the Zander fishing for me was fantastic this season. I will never forget it. I started fishing for them in September, and only had a couple of small ones. However as soon as October/November hit, it was fantastic. I concentrated on two fenland rivers. The Welks Creek and the Great Ouse. The Great Ouse turned out to be the best river for me. I bagged around seven double figure fish, and plenty of smaller specimens. All fish were bagged during short sessions after work into the night. Truly memorable. Last Great Ouse zed of the season for me. Was a stunner. My second biggest Great Ouse zed of the season for me. 12ib exactly. Another stunner! I only really got to go after the zeds, during my predator sessions. This was mainly due to time constraints, but I did manage a couple of pike sessions. 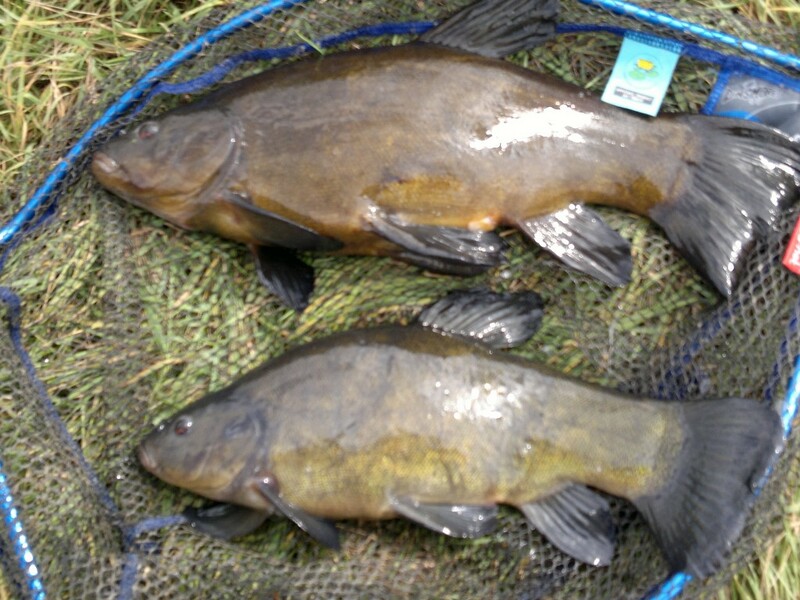 These were very hard, but I did manage a couple of double figure fish and plenty of smaller fish. Hopefully I will get a few more sessions next season! Not so many of these for me this year, but still great fun. Another highlight for me was my first chubbing session on the River Wensum with a good friend of mine, Simon Vidler. He had always wanted to visit the river since he was a child, and asked me join him. We had no fish on this occasion, but it was simply fantastic to finally fish this lovely river. We learnt a lot and will be back there in the new season. I will now be concentrating on some local still waters, to try for some of the spring and summer species. I will also be digging out the beach gear again, over the next few months Tight Lines everyone!